So, my iPod touch doesn’t take very clear pictures, but I can’t sync photos from my phone while I’m here in Australia so this is how it’s gonna have to be 😛 I drew this while waiting at the airport in Dallas a couple of weeks ago. It was my way of passing time/ finding something familiar in my surroundings. Drawing always makes me calmer in stressful or uncomfortable situations… probably the reason why I drew all the time in high school. This was inspired by a new kind of orchid that I found in a book. The striped markings are especially unique. The texture they make from looking at the orchid from far away is completely awesome. Of course, I don’t think I drew the center the same as the actual orchid. I kind of improvise how I like. 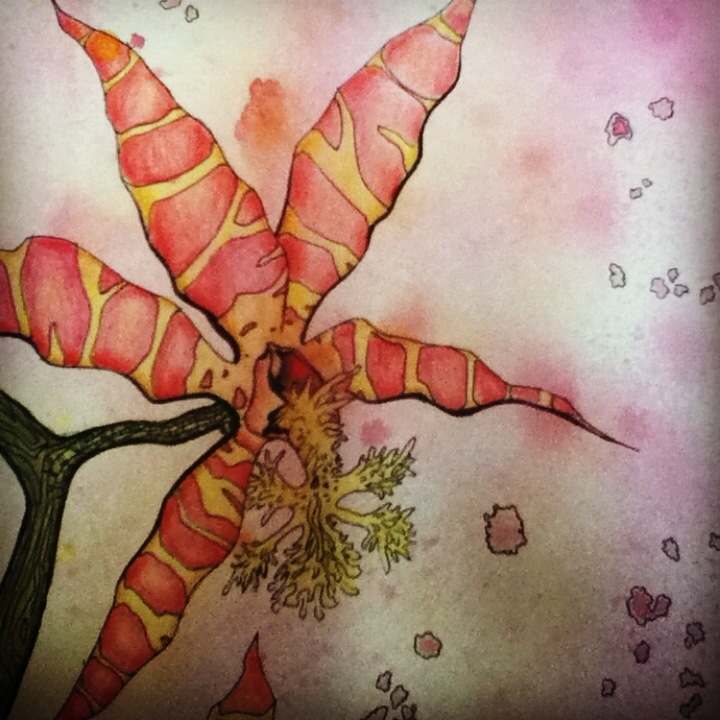 This entry was posted in Art, Daydreaming, Drawing, Nature, Uncategorized and tagged drawing, orchids, sketching, water color. Bookmark the permalink.